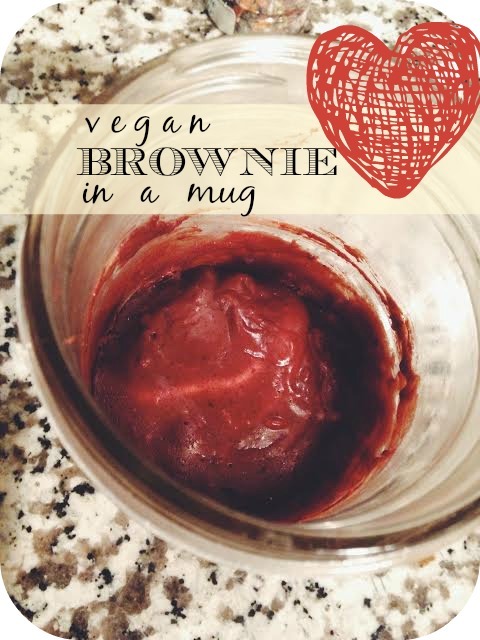 Vegan Brownie in a Mug. You’re welcome. It’s late at night. You’re watching Lord of the Rings. Things are getting emotional. You need chocolate. Now, I know this recipe is nothing new. 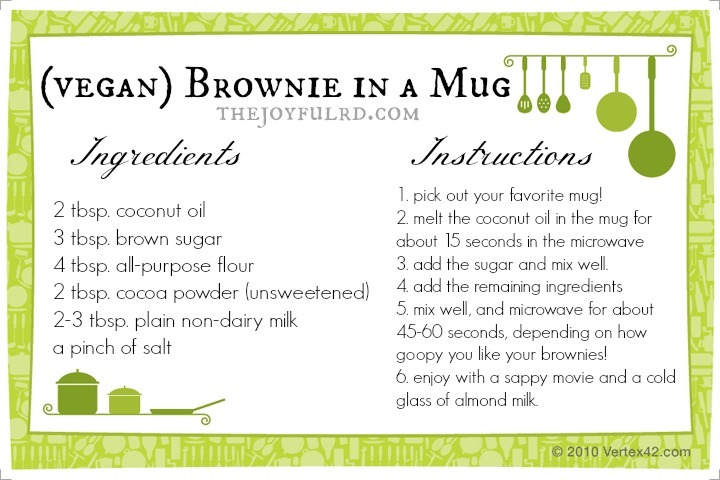 But I had no idea what I was missing until, by some stroke of genius the other night, I remembered that I had all the ingredients necessary to make myself a brownie in a mug in under five minutes. That’s right — there’s no waiting around for the oven to preheat with this recipe. You don’t even need measuring cups! With some basic ingredients and a microwave, you can get back to your movie in no time. Short and sweet, just like this post. So go ahead and treat yourself tonight. And stay tuned for my next post; a spotlight on Portland’s own Nike Run Club! I’m really excited to get the word out about this fantastic group. 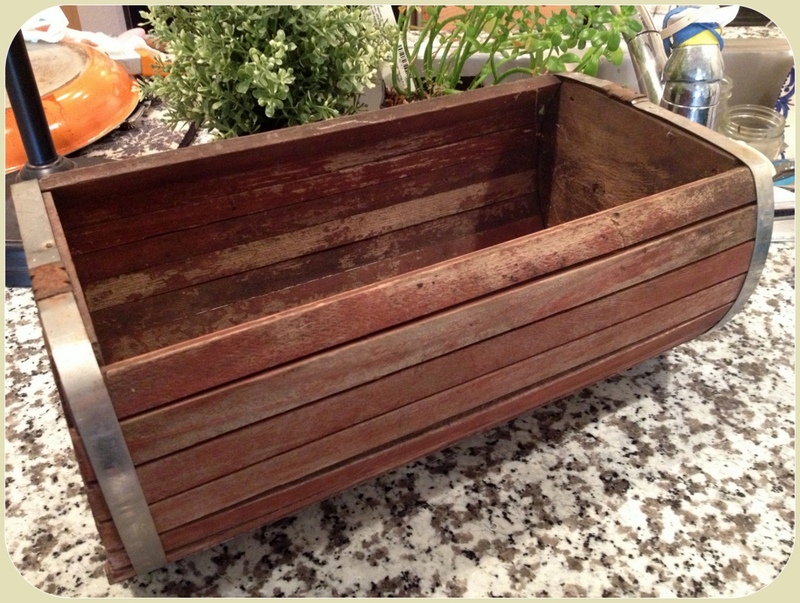 I picked up this neat wooden crate for $8 a few weeks ago at Old Portland Hardware, a reclaimed wood and hardware shop close to me, intending to make it into a planter box. Portland Nursery, I just can’t quit you and your adorable indoor plants! 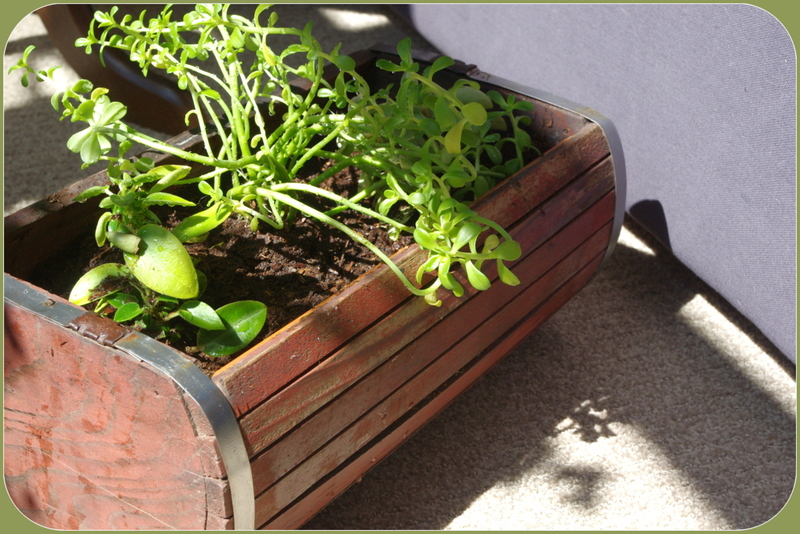 I knew it had to be stained and waterproofed to avoid mold growth (mmm! ), but I needed something clean and quick, since I’m living in an apartment. 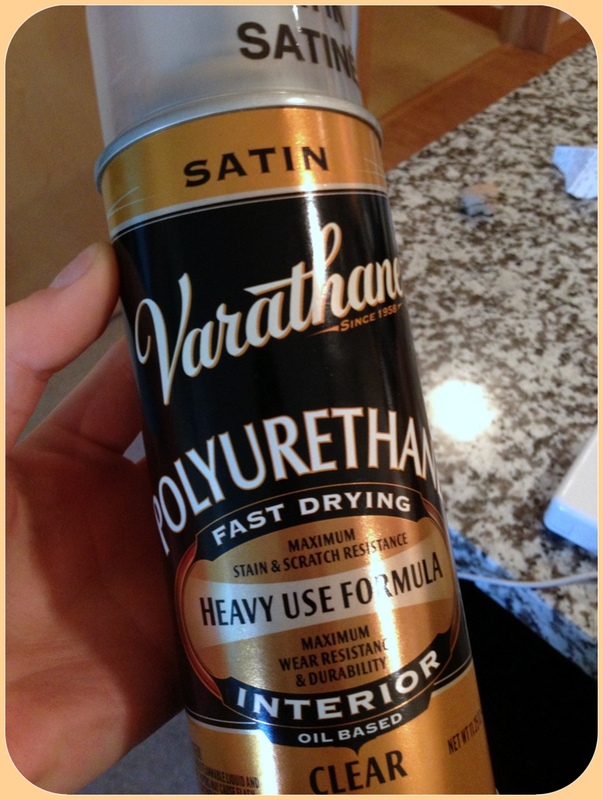 I settled on this Varathane polyurethane satin stain and finish in a spray can, for about $9. The whole thing was pretty simple, even if I did lose a few brain cells in the process. 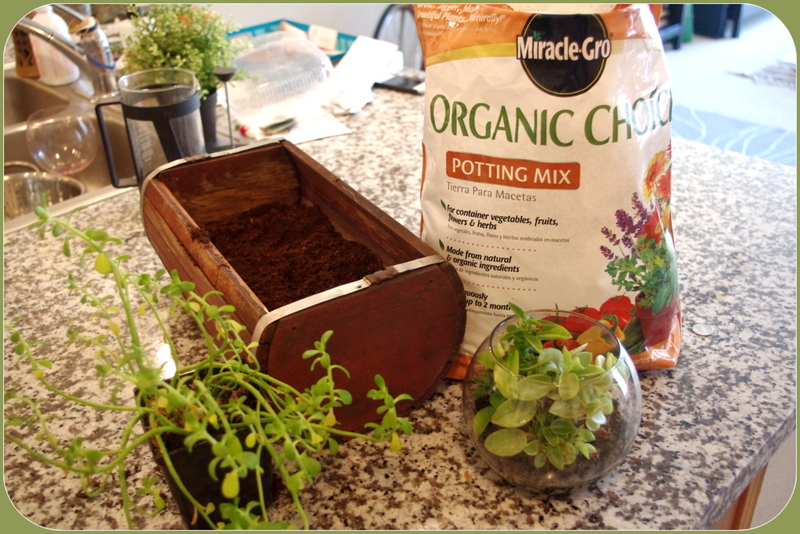 Not having a back yard, I wasn’t able to provide “adequate ventilation,” so I ended up taking a deep breath, holding a rag over my nose and mouth and blasting away at the planter box in my bathtub until I couldn’t take it anymore. All for the sake of a good DIY, right? 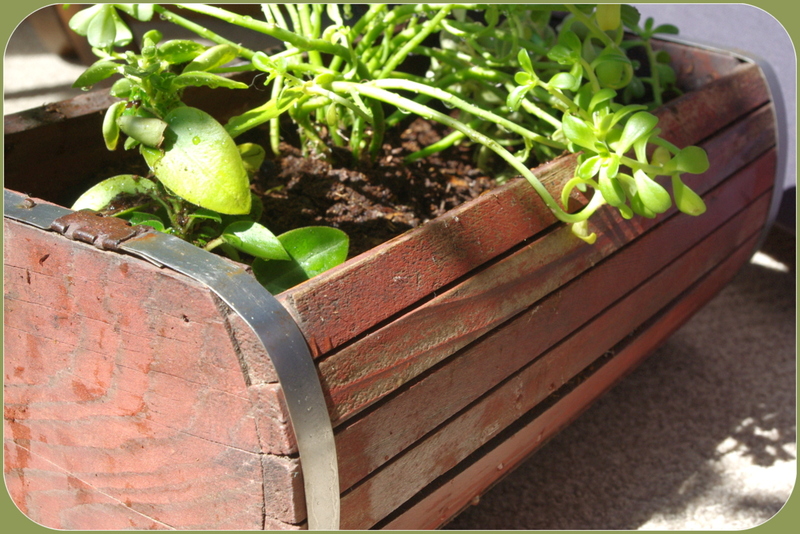 I coated the planter box three times, with about 4-6 hours of dry time in between. 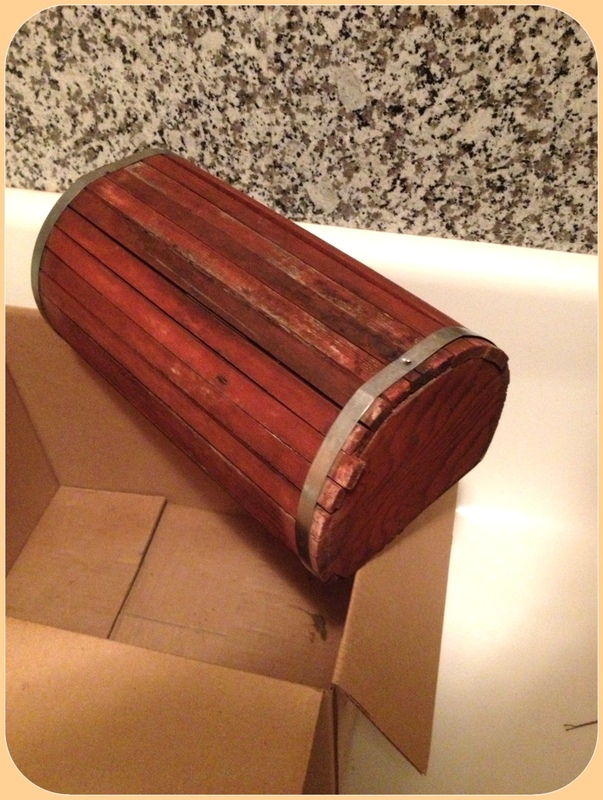 The end result was adequate–it isn’t shiny or smooth, but I didn’t also bother sanding it down beforehand. The last step was to add my myriad house plants and hope the roots don’t end up strangling each other over the soil area in some kind of “Game of Thrones” plant war. What next? 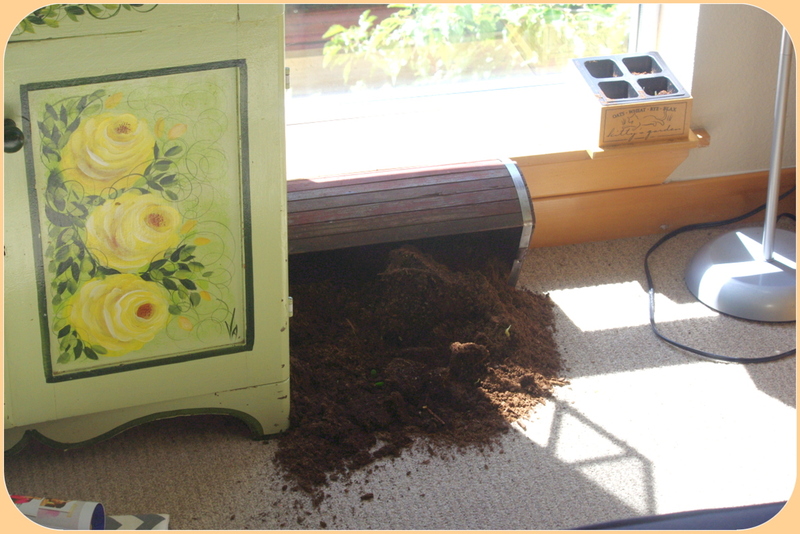 Enjoy your new planter box, until you come home and see that your cat has knocked the entire thing over!